Money was being raised or my son to have a second lung transplant and medical. We never saw a penny. It was almost impossible to get any withdrawal of the funds. My son has since died and we could have used to funds for the funeral. This has shown me that GoFundMe is a scam and that they are scamming people in need. Same thing happen to my daughter for her mission trip. They gave her money to someone else and after 90 emails back and forth they still never fixed it. It will be a year in April and we never received our funds. They say that it was paid but I sent proof that it was never put into our account. They stole my money. Of course no customer service phone number to get any help in person. Every time I sent an email giving them my bank info, they would return the email with the numbers. I spent days trying to get my money. Did you type your bank account information correctly? They can only use the information you give them. Our Daughter was diagnosed with kidney cancer, and required her kidney and the tumor to be removed. Our friend set the account up, and it didn't take long for the money to start flowing in. It was a huge help as the bills didn't take long to start flowing in. Not to mention the hidden costs you don't think of, as we were traveling to and from the hospital often. Having to eat out regularly, gas, etc. We set the account up to auto deposit, which was a huge stress eliminator. And that's where the benefit ends. Auto deposit was a mistake. We are nearing the end of her treatment, and I finally had the brain power and time to do the math. 17% -- that is what this web site has charged in fees. That is straight up highway robbery. In our case, that was around $2000 of donations taken from a little girl in 5 months. I am absolutely disgusted with GoFundMe's fees. I will never donate to a GoFundMe site. I'd rather spend the time and gas money to hand deliver a check than fund these thieves. Let me start by saying that I really wish I had done better research before I used the GoFundMe site. After claiming they do not have any fees, they take nearly 8% of donations people give in good faith. They won't deal with PayPal, but rather use WePay, which charges 2.9% plus $0.30 per transaction. To add insult to injury, they claim that they have five minutes of online support, when in fact, they don't even answer your questions at all. People, do NOT use this site! I am totally disappointed in this experience and feel ripped off and let down. I highly suggest you reject this site. FAIL. Not a bad payout on something you never earn. The scam is on the people donating. Two of my grandchildren were killed in a horrific car crash two days before Christmas. A friend of my granddaughter's set up a Fofundme account to help our family. Many of our friends and co-workers donated to the account. My daughter (the mother of the children who were killed) has attempted to withdraw the funds about twenty times, and every attempt has failed. The support from Gofundme has been useless. My daughter is in too much grief to deal with the frustration of the Gofundme account. I have tried to help her without success. I am about ready to tell the donors that their donations (nearly $6,000) were made in vain because the funds are unavailable to the people they wanted to help and the only beneficiary of their loving concern and generosity is Gofundme. Telling the donors they wasted their money is unrealistic and will only cause hurt feelings. Your owed $6000.00 I am certain your daughter can use those funds. You need to take effective action. Get the company's contact information, phone, address and principal owners. There are ways to retrieve these funds. Doing a little background research and contacting the owners directly is most likely the fastest. Lastly, the girl who setup the page and your daughter can go to court house to file a lawsuit for material breach of contract.You don't need an attorney but paperwork gets filed with the court above small claims, which only deals with lawsuits under $5000.00. Just tell clerk your suit is for $6000.00 and ask witch court. And ask clerk for the appropriate filing package that you will need to purchase, fill out and pay the filing fee. This site is a fraud. My family created a account on December 22, 2015 for my sons burial expenses. My son was buried January 4, 2016 and the account was closed down January 21, 2016. Well why is it that we still have not received our check, and after numerous attempts via email. They claim you receive funds in so many days via bank or check. Well, as of today March 2, 2016 we still waiting for something that doesn't belong to them and what's even worst you can't talk to anyone. This site is a fraud and needs to be investigated. Wish my daughter would have done better research before establishing a account. Thumbs down. The scam is on the people who donated. It's not your money either. If you never receive the money, you are not at a loss, the donors are the losers in this scam. From my campaign, that was setup to raise funds to help with medical expenses for my children and I when my husband died suddenly, half of what was raised was stolen. The goal was 10.000 dollars. I received 4566.00 and GoFundMe kept the rest out of 9100.00 that was raised. Fees were outrageous and unacceptable. Still not a bad payout on money you did not earn. I can say I have been extremely disappointed. I was raising funds to help a family member with the cost of a funeral. We still have not received the money and keep getting excuse after excuse as to why it hasn't deposited into our account. Also, now the money raised is showing 20 less than what was raised initially and that particular 20 was my donation and it shows as if it's coming out of my bank account so that is very odd. I am having a hard time getting in contact with anyone over the phone. They just respond in live chat and so far given me false information about the deposits. My daughter passed away suddenly on April the 3rd so we tried to raise funds for her funeral. After only raising £200 we will eventually receive £181. I say eventually because they are refusing to release the funds after 3 weeks of emails and all our personal details to prove we are real people. The evidence is still not enough and we have been left in debt and can't pay anyone for the funeral. All they state in their emails is that this will all be sorted pit in the next 24 hours. I think they mean years. Not only have we had to suffer the loss of Lucy but also now experience financial difficulty. Thank you very much GoFundMe. Will I ever use them again? No. We're so sorry to hear about the loss of Lucy and the added stress of the difficulty in withdrawing the funds. When preparing for a funeral, that should be the last thing you have to worry about. In reviewing your conversation with us, it looks like it took longer than it should have to verify your information. While these measures are in place to keep everyone safe on GoFundMe, it's clear that undue stress was caused here. As a result, our team waived all fees for your campaign. Our team is wishing you peace during a difficult time. 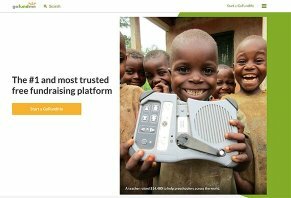 GoFundMe & WePay are an absolute SCAM! I set up a GoFundMe account for a friend who's husband and son were killed in an airplane crash as a way to help them with their expenses. After all was said and done and funds were transferred to the widow and her 3 remaining children, GoFundMe & WePay began randomly taking money out of my bank account and was not helpful in resolving issue and continued taking money out of account. After repeatedly asking and then demanding for them to delete our account and all information contained therein, I had to dispute the charges with my bank and put a stop payment on any future payments that they may attempt to do. I finally had to have our attorney write them a letter and contact the authorities for their illegal activities before they ended up sending an email apologizing and saying that they would willing refund all of the money that they had "taken by accident". What a bunch of B.S. They are nothing but a scam company, so beware! The BBB has no review of this business. I wonder why it has not been reported. I'm already running into problems and want out. Should I contact those who made a donation to contact their credit card companies? We pay and GoFundMe is not giving my money to me. Granted it was my fault I enter a wrong number in my bank account info but the micro deposits that I suppose to received I never got so I could verify my bank account and they sent the money anyway. I asked them why it was sent without it being verified several times and they avoided the question. Now they say I have wait up to 10 business days to get my money because they sent it to my bank, I have to wait for it to be sent back. I really needed the money too. I don't usually do this type of thing but I was desperate because I am about to become homeless and they aren't helping. My friends and even my family have sent me donations and now they are stuck in limbo. I wish they had minus stars for this. You entered in wrong information. As such, your money will get to you, but in a delayed fashion. You seem to be blaming the site for your own mistakes and situation. Take responsibility. It's nobody's fault but yours. It takes time to correct banking issues. It's no different than if you gave them the wrong street address and they mailed your check to the address you provided. They would then have to cancel the check and issue you a new one, although it is not their fault. I agree with Charlie. Take responsibility for your own mistakes.